Cheltenham United Reformed Church, or CURC for short, is a close partnership of three separate churches: Prestbury URC, St Andrew's URC in Montpellier and The Church in Warden Hill. The Church in Warden Hill is, in its turn, a partnership between the old Warden Hill URC and its Church of England neighbour across the road, St Christopher's. Although Sunday worship is now centred on the St Christopher's building, the traditions and practices of each denomination are kept up. The styles of worship across the three CURC churches are very different; they can even vary from week-to-week. There are modern family friendly services, traditional style services and even Anglican services at St Christopher's. Each separate URC Church is managed by a team of elected and ordained elders and the same elders manage the CURC as well. There is currently no URC Minister in post. 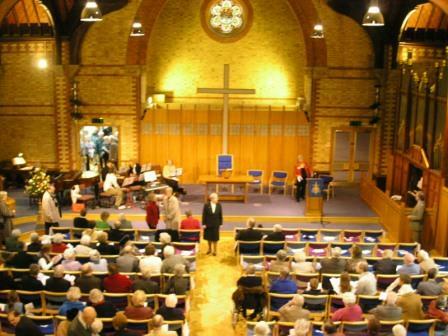 Each church hosts various different social groups and events, but every service or social is open to anyone and there is an intermingling of our congregations. In addition to the regular Sunday and weekday services across the CURC there are Bible study groups, small groups who meet for prayers and the opportunity to explore spirituality and theology on TLS courses. 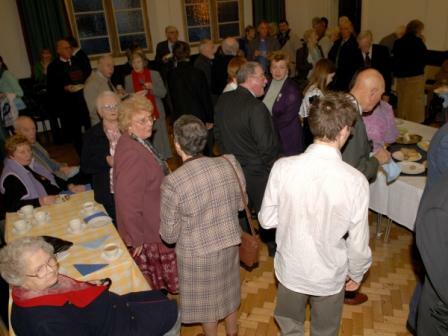 There is a lively social life with groups and various activities catering for all ages - 'from the cradle to the grave'. Not to mention Coffee Mornings, Church Fairs and Film Shows. There is something for everyone at Cheltenham URC!